The Global Israel Alliance is proud to present the first ever Israel Conference. 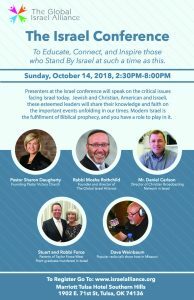 Christians and Jews from all over America with a love for Israel will come together for one powerful day in a show of faith and support for Israel. The conference will educate, connect, and inspire those who stand by Israel at such a time as this. Presenters at the Israel conference will speak on the critical issues facing Israel today. Jewish and Christian, American and Israeli, these esteemed leaders will share their knowledge and faith on the important events unfolding in our times. Notably, Stuart and Bonnie Force, parents of U.S servicemen Taylor Force murdered by a Palestinian terrorist in Israel will be speaking. The U.S government recently passed a law named “The Taylor Force Act” linking U.S aid to the Palestinians with their ceasing to offer financial incentives for acts of terror. 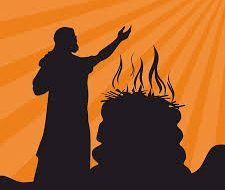 Holiness – The Cure for the Common Life!Wisdom is too lofty for fools.